This bracelet was commissioned according to the client's particular design request for an organic motif incorporating a moonstone. 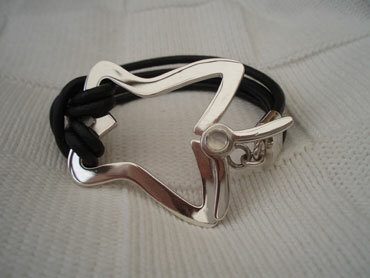 The bracelet is made from solid silver and black leather thong. The fastening formed from the head and antennae of the butterfly fits securely and articulates with the wings.